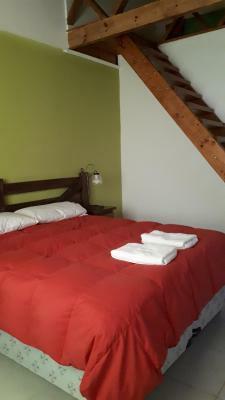 Lock in a great price for Tranqueras de El Chalten – rated 8.2 by recent guests! Friendly hosts. Make you feel in home. They help you with all the information you need. Good breakfast. Walking distance to everywhere. Everybody was so nice! The facility was great and the breakfast was superb! Thank you Alejandra! Owner could not have been nicer or more helpful - very friendly and outgoing. 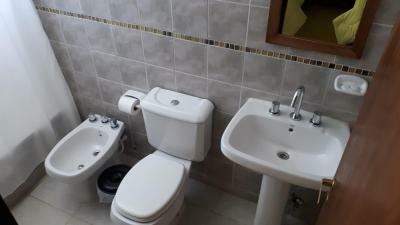 Clean comfortable rooms, a little small but adequate. Great value. It a nice clean room. Good property with good staff. Highly recommend. Very helpfull and friendly staff. 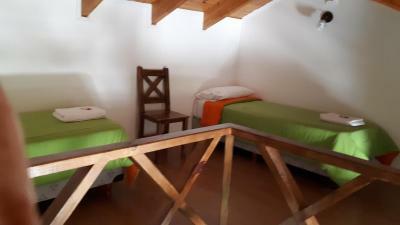 Big and most important, clean rooms with a private bathroom and also a good breakfast! 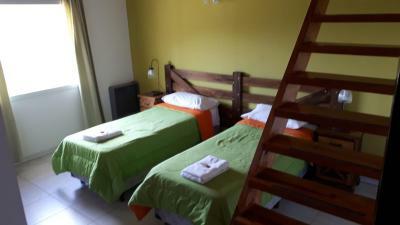 Comfortable beds, the room was nice and clean and the location was great. Breakfast was scarce but tasty. The price was reasonable as well. Alejandra was a great and very helpful host. She helped us organise our stay. 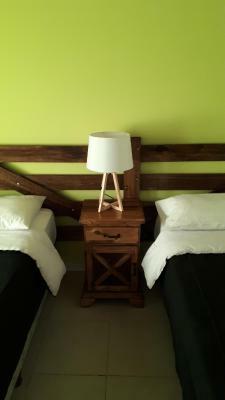 The rooms were very clean and comfortable and we felt really welcome. The location allowed easy access to all trekking tours. 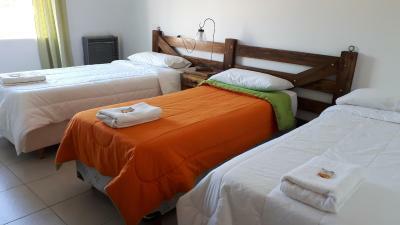 Located 1,000 feet from the commercial area and 0.6 mi from the bus station, Tranqueras de El Chalten offers comfortable rooms with free WiFi in the common areas. A garden is featured and Continental breakfast is included. 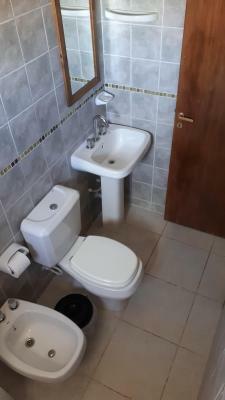 Providing a tranquil environment, the comfortable rooms in Tranqueras de El Chalten feature private bathrooms and heating. 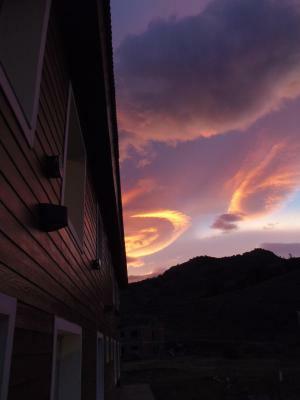 Rooms do not have a TV, so guests can take the time to relax, escape the usual distractions and connect with nature by taking advantage of the property's mountain views. 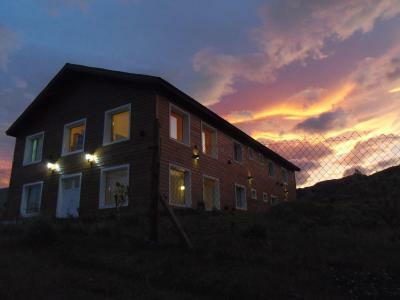 Tranqueras de El Chalten offers free private parking on site. 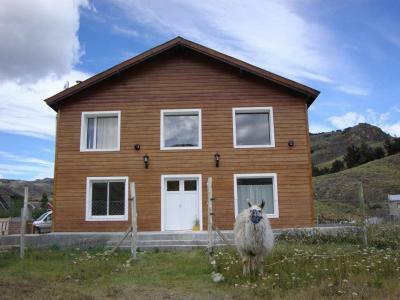 뀐 Located in the top-rated area in El Chalten, this property has an excellent location score of 8.5! 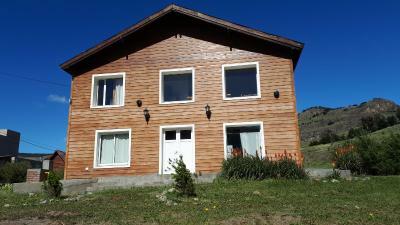 When would you like to stay at Tranqueras de El Chalten? House Rules Tranqueras de El Chalten takes special requests – add in the next step! 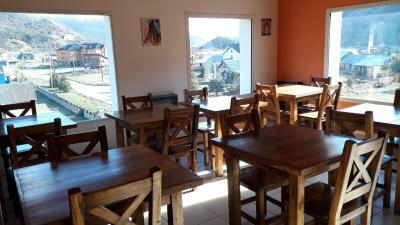 Tranqueras de El Chalten accepts these cards and reserves the right to temporarily hold an amount prior to arrival. 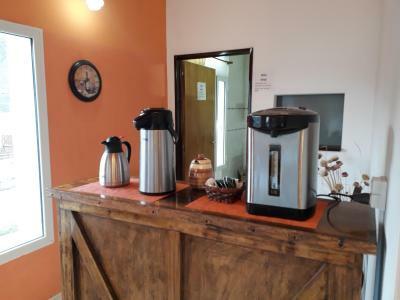 Please note that El Chalten has only one ATM in the area, therefore the property recommends guests to bring enough cash just in case the ATM runs out of money. Please inform Tranqueras de El Chalten of your expected arrival time in advance. You can use the Special Requests box when booking, or contact the property directly using the contact details in your confirmation. The windows don't open. There are curtains but no blackout. Alejandra has been an incredible host. She is always ready to help with the lastest tips as to which trail to choose according to the weather. Her enthusiasm and energy are a big plus. 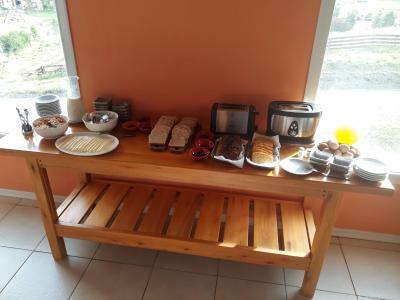 She also bakes the delicious cakes served at breakfast! The beds are really comfy and the hot shower after a long day's walk is greatly appreciated! Boiling water is available 24/7 so bring your tea bags or mate set!! 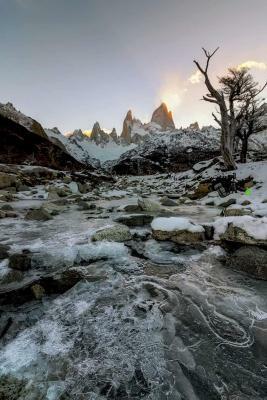 We had a great time at El Chalten a lot of it thanks to Tranqueras. Gracias y hasta pronto!! 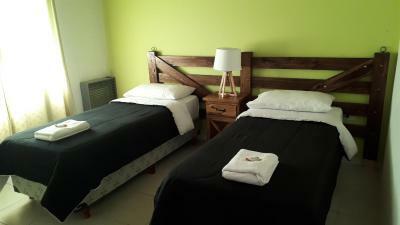 Super friendly staff, clean rooms and great atmosphere! Was perfect for our 4 people group and would definitely come back! 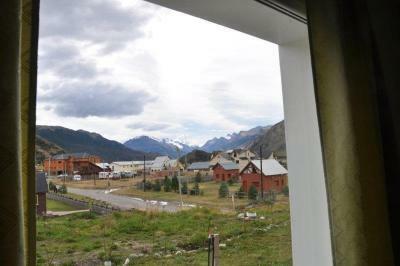 Amazing hotel right near the trails, amazing host and hostess, excellent breakfast. We had a gorgeous loft style family room! 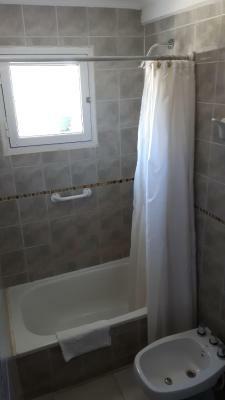 Perfect stay!!! The communication with booking.com was confusing. I was initially told to bring cash or pay 8% credit card fee and pay on arrival. I then got an automated email from booking.com saying I needed to pay in advance by bank transfer which proved complicated as the hotel didn't know their swift code (and then when I found the swift code through extensive googling my bank couldn't do it anyway). The whole thing was a bit stressful and it basically came down to booking.com telling me the wrong information. The staff at the hotel were really nice about it though and it all worked out fine. My advice to anyone reading this is to just bring cash (either dollars or wire yourself some pesos if you're based in BsAs). Another thing is that the walls are pretty thin, we heard a lot of the argument that the couple 2 rooms down from us were having! Overall I would recommend though, I had a lovely stay! The staff were really really friendly, especially the owner. They were really helpful with advice about treks and nearby restaurants. The whole place was very clean and the room was pretty spacious. The heating in the room was fiddly (I'm used to gas boilers but I still struggled! ), however they were helpful in showing us how to get it working and then the room was very very toasty. 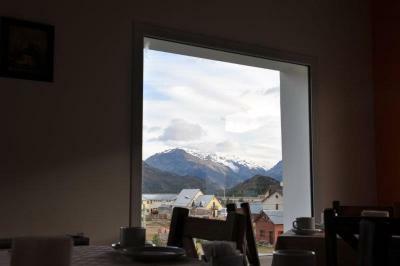 The views with breakfast were incredible, literally saw the sun rising over the mountains while eating my toast! 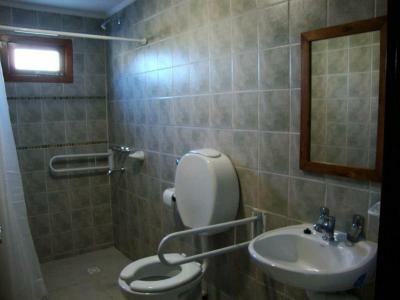 Location good with easy access to hiking trails. Very friendly family running the hotel. Nice breakfast and close to restaurant and supermarket..
Staff was very nice. And they let us storage our luggage for 2 days, since we need to hike up to other hostel, where located in the mountain. I loved the people there, the location was fabulous and the easy access to the trails I was interested in. Wlan just in the lobby. All was perfect. Reception was very perfect. Helpful and friendy. 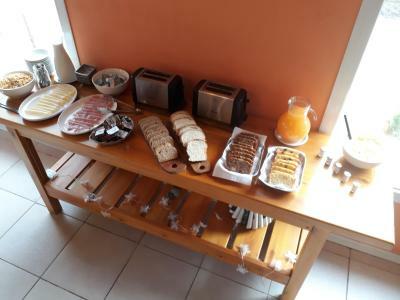 Breakfast was good and the rooms also. What you get for the price was way below my expectations. 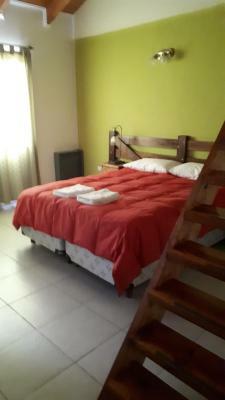 Generally a big room with a nice bed and a chair... no TV, no wifi in the room. If it would have cost half the price I would have been more understanding. My only gripe is the lack of quality internet. The data transmission rate was so slow we had to head to a number of cafes downtown in order to complete some necessary travel plans. I tested the speed and got about 0.4Mbs. I feel the internet should be upgraded to fit the title this otherwise great hotel is seeking. The staff at the hotel (they ardently claim was his establishment is a small family-operated hotel and not a hostel) was kind and accommodating. We stayed two nights separated by one day in between where we went on an overnight camping trip. They happily allowed us to store the bulk of our gear in locked storage during that period and provided some niceties which made our trip better like toasting some empanadas and providing wine glasses to our room for a late night snack. The staff also contacted the local taxi company and had a ride scheduled for our 0730 departure from the bus station. 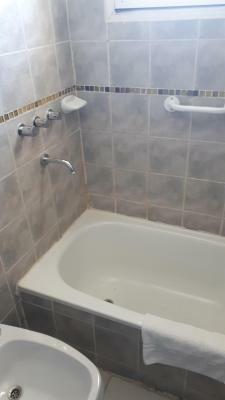 Our rooms were very clean with all new tile and bathroom fixtures. 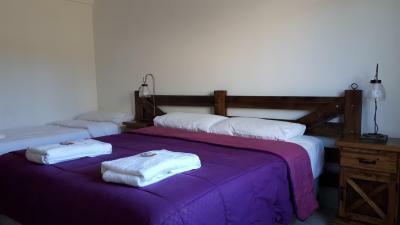 We had asked for room for three and the first night we were given a double bed and a single, and the second night we we upgraded to a large room with a loft where up to six people could have slept comfortably. 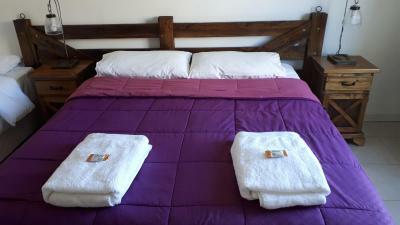 The beds were very clean and firm, the sheets soft, and the pillows supportive. 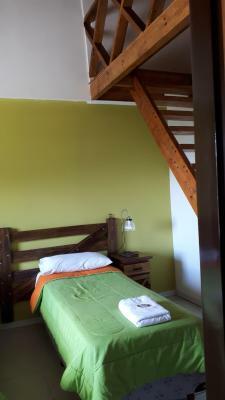 I’ve included a photo of the beautiful loft in our second room. Tricky to get the heater on and off in the room.